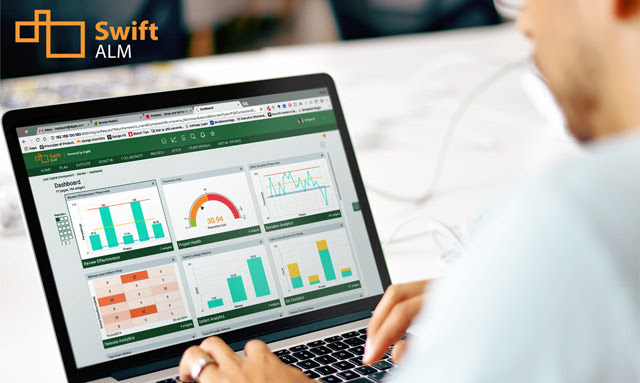 SwiftALM 3.0 release is here and its packed with updates in the area of Configuration, Dashboard and Mobile App. Get to know our new Smart Import feature that helps you transfer configuration across environments easily. By analyzing the configuration file, it automatically detects the changes that need to be imported in your environment. In your dashboard charts, you now get an option to view the trend line and understand the linear progression of the data being plotted. Along with these new features, there are many other UI/UX enhancements to offer you a richer experience. Now transferring eForm configuration from one environment to another has been made easy with the introduction of Smart Import. Configurators can simply export the configuration from their source environment and import it to destination environment without specifying Add, Modify, Delete commands. The application smartly detects the differences between the source and destination configurations and prompts the configurator for confirmation of the changes to be imported. Now, you can choose to see a Trendline in your Dashboard widget charts to get a better sense of the linear progression of the data being plotted. The trend line can also be configured to be shown in the ECR based widgets by using the ‘showTrendLine’ function. The settings page for the Item Status widget has been revamped to help you view all the settings at the same time. It also provides good readability of the Time Series and Item Aging options that were earlier hard to view and update. The settings page of metric widgets has also been improved for better readability. 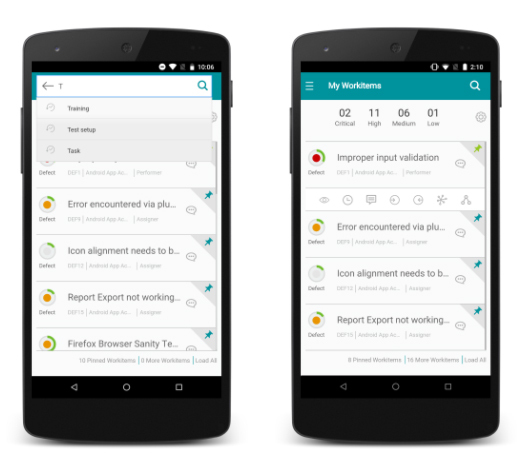 Pull down to refresh your workitem list. Tapping the notification opens the workitem details. Matching search text shown based on your recent 10 searches. Commonly used View Details and Time Entry actions brought foremost.